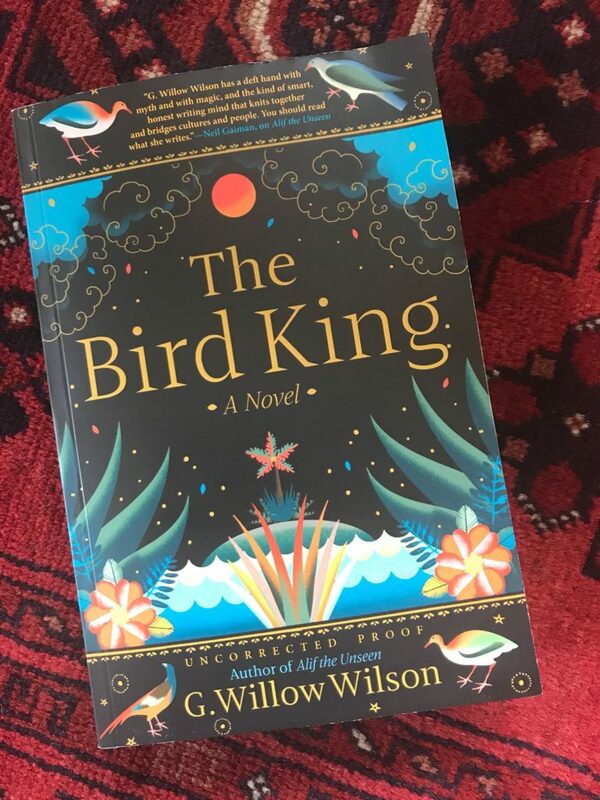 Fresh off the news of her writing gig for Wonder Woman, I am incredibly excited to announce that my friend Willow’s new novel, The Bird King is available for pre-order on Amazon! G. Willow Wilson’s debut novel Alif the Unseen was an NPR and Washington Post Best Book of the Year, and it established her as a vital American Muslim literary voice. Now she delivers The Bird King, a stunning new novel that tells the story of Fatima, a concubine in the royal court of Granada, the last emirate of Muslim Spain, and her dearest friend Hassan, the palace mapmaker. Hassan has a secret?he can draw maps of places he’s never seen and bend the shape of reality. When representatives of the newly formed Spanish monarchy arrive to negotiate the sultan’s surrender, Fatima befriends one of the women, not realizing that she will see Hassan’s gift as sorcery and a threat to Christian Spanish rule. With their freedoms at stake, what will Fatima risk to save Hassan and escape the palace walls? As Fatima and Hassan traverse Spain with the help of a clever jinn to find safety, The Bird King asks us to consider what love is and the price of freedom at a time when the West and the Muslim world were not yet separate. 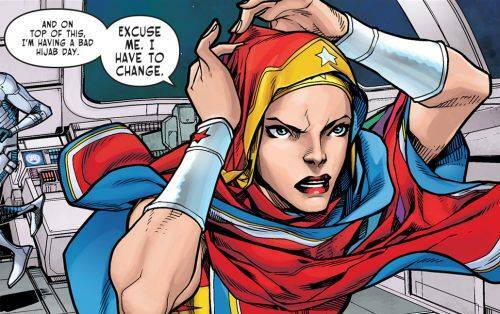 (BURBANK, CA, July 11, 2018) – Following DC publisher Dan DiDio’s surprise reveal on today’s episode of DC All Access, celebrated writer G. Willow Wilson will be bringing her incredible storytelling skills to the shores of Themyscira as the new writer of WONDER WOMAN, beginning in November. Joining Wilson on art duties for “The Just War” will be Cary Nord, who recently launched THE UNEXPECTED (with co-artist Ryan Sook) as part of The New Age of DC Heroes. Nord is also known for his acclaimed runs on Dark Horse Comics’ Conan and Valiant Entertainment’s X-O Manowar. When Steve Trevor’s unit goes missing in an Eastern European country torn by revolution, Wonder Woman immediately flies across the globe to help him—only to slam into the brick wall that is Ares, the God of War, who’s taken a strange interest in this conflict. But why is Ares acting so strange? Has he turned over a new leaf? Does Wonder Woman have a chance to redeem him? And just as important…if Ares has returned to Earth, then what happened to the supposedly unbreachable prison built to contain him—Wonder Woman’s homeland, Themyscira? Part one of “The Just War” begins in WONDER WOMAN issue #58, on sale November 14. For the latest news from DC, download the DC All Access mobile app, available for free on the Apple App Store and Google Play. DC Entertainment, home to iconic brands DC (Superman, Batman, Green Lantern, Wonder Woman, The Flash), DC Vertigo (Sandman, Fables) and MAD, is the creative division charged with strategically integrating across Warner Bros. and WarnerMedia. DC Entertainment works in concert with many key Warner Bros. divisions to unleash its stories and characters across all media, including but not limited to film, television, consumer products, home entertainment and interactive games. Publishing thousands of comic books, graphic novels and magazines each year, DC Entertainment is one of the largest English-language publishers of comics content in the world. Space is big. You just won’t believe how hugely, vastly, mind-bogglingly big it is. But space is just 3 dimensions, there is also time, and there is also X. In Star Trek, apart from the usual travels in space and the occasional travels in time, we also have twice seen travels in X: a few visits to the Mirror Universe, and the Kelvinverse. These are not alternate universes, they are dimensions, because an alternate universe is a branching point, and the more time passes after the branch, the greater the deviation will be. Despite several decades after the branching point in the Kelvinverse and several centuries in the Mirror, we still see that the same people are being born, having the same meta-relationships, the same destinies. That implies that these are not separate universes but still fundamentally tied to the Prime. There is a Platonic underlying universe and these are different projections in a lower dimensional space, perhaps. Having established that there is a dimension X, consider that it is common to H2G2. The Guide Mark II is able to directly manipulate X, even outside the X-unstable ZZ Plural-Z Alpha zones (which contains the Earth, and presumably most of the core federation, which is not coincidentally where most of the X-traveling shenanigans in Star Trek lore occur). Denizens of Plural zones are explicitly warned not to travel by hyperspace because they can be catapulted unpredictably along X, so most of the early galactic civilizations favored warp drive instead of hyperspace jumps. Much of the Second Phase of H2G2 occurs in a different X than the Primary, and we get some exposition about different-X versions of Zaphod in the Tertiary and Arthur in the Quaternary Phases, and Zaphod even managed to make a business model out of it in Hexagonal Phase. What we know of Galactic history is that about 5 million years ago, and the “about” will become very important in just a moment, there was a Galactic Empire, where “life was wild, rich, and on the whole, tax-free. In those days, spirits were brave; the stakes were high; men were real men, women were real women, and small furry creatures from Alpha Centauri were real small furry creatures from Alpha Centauri. And all dared to brave unknown terrors to do mighty deeds to boldly split infinitives that no man had split before.” I can think of no better description of the Original Series than this. Of course, there is some distortion, as 5 million years have passed from Kirk’s “men were real men” years and the relatively depressed era of Zaphod and Ford. Magrathea allegedly got its start in this era, as a means for the fabulously ultra-wealthy to spend money on custom planets (implying at least a Kardashev Type II civilization). However, if we allow for the fact that the Golden Age of the former Galactic Empire could span a million years of its own, then Magrathea could well have existed a million years before Kirk and crew. Or much, much longer – because a Type II civilization is not a transient thing. 1M years BK: Fall of the Galactic Empire. 300 BK: Arthur Dent rescued from the destruction of the Earth by Ford Prefect, who has accidentally traveled 5M years back in time without realizing it. 1M KE: the Galactic Republic, administered by the Vogon bureacracy, at its peak. This is where most of the canonical story of H2G2 takes place. There certainly are some problems here. But most of those can be resolved by the fact that the Galactic Republic was notoriously more irresponsible about time travel than even the Federation was during the Temporal Wars (plural). After all, the whole Cathedral of Chalesme fiasco, which led to Slartibartfast’s involvement in the Campaign for Real Time, is evidence aplenty of just how screwed up the timeline became. The vast Dark Age between the Kirk and Zaphod eras was irresistible to tinkering, profiting, and just general screwing around by the various Powers That Be. 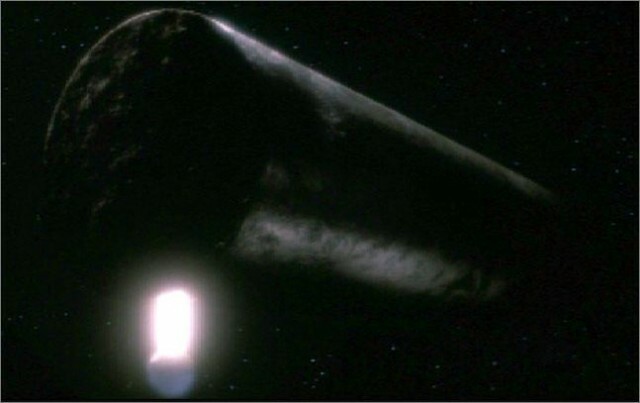 Ultimately, a lot of the general wierdness, like Miri’s Earth, Apollo, and whatnot that happened during TOS, not to mention the strange discontinuities around the Enterprise NX-01, which could actually be another poster child for the Campaign for Real Time to protest, can be explained by understanding that Star Trek and H2G2 happened in the same Galaxy – adventures in space, time, and X. I am sure this is a field of potentially rewarding inquiry for other researchers with more procrastination time than myself to pursue. Takahata returned to feature directing with Chie the Brat (1981) and an adaptation of Kenji Miyazawa’s Gauche the Cellist (1982), while working as a producer on Miyazaki’s breakthrough animated version of his own manga, Nausicaä of the Valley of the Wind (1984). The film’s huge success led to the establishment of Studio Ghibli, the name, due to Miyazaki’s love of aviation, taken from an Italian second world war plane, with Takahata producing Miyazaki’s first work for the new enterprise, Castle in the Sky (1986). So about that Camphor tree…In Grave, Seita lies to Setsuko about their mother’s death for a while, hoping to give her the news in a gentle way. She finds out anyway, and he tries to soften the blow by lying again, this time telling her that their mother is buried beneath a lovely Camphor tree, and that they’ll visit her after the war. (In reality, their mother’s ashes are in a box that Seita carries with him, and seems to lose, before the film ends.) Guess what kind of tree Totoro lives in? Yeah, it’s a Camphor. And Totoro just happens to be accompanied by a middle-sized Totoro, and a small Totoro. 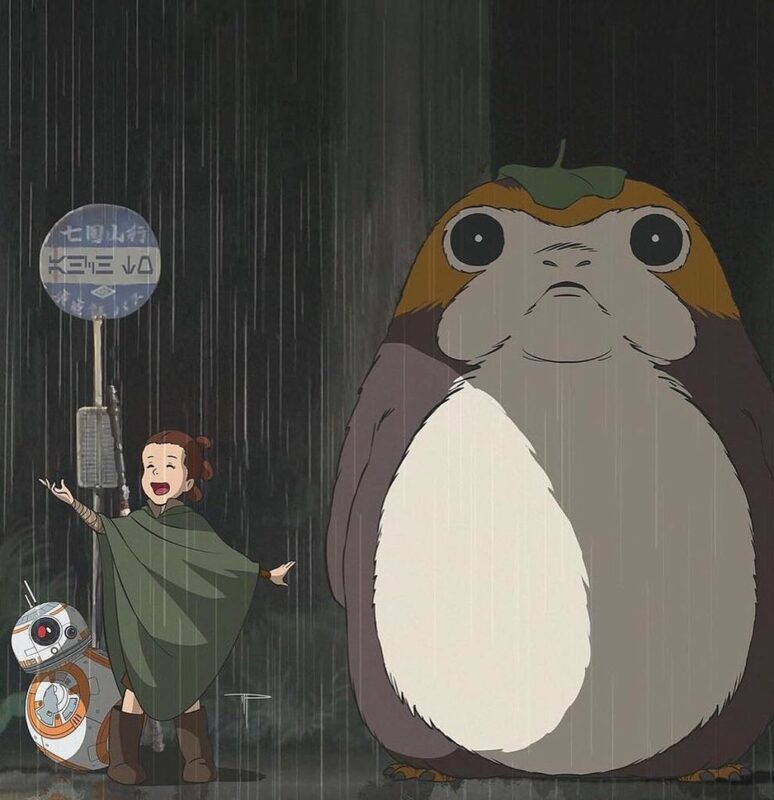 And the small Totoro just happens to be the one that attracts Mei’s attention in the first place. So I’ve just decided that the Grave of the Fireflies characters were all reincarnated as Totoros. Big Totoro is Mother, the Middle Totoro, always the caretaker, forever collecting acorns for Baby, is clearly Seita, and Baby Totoro is Setsuko—the one who first befriends a little girl who’s the same age she was when she died. 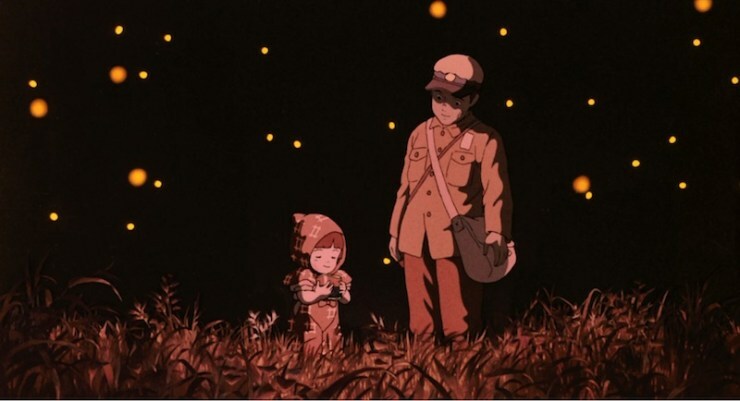 And if I’ve just ruined My Neighbor Totoro for you I’m sorry, but how much better is Grave of the Fireflies now? If you watch the movie believing that they all get to be Totoros in the end, you might just get through it. The fun is probably over though – Thanos has already been nerfed. Chris is a class-A player and often gives out freebies to his subscribers – check it out on Twitch via his relatively subdued handle CaptainAw3som.